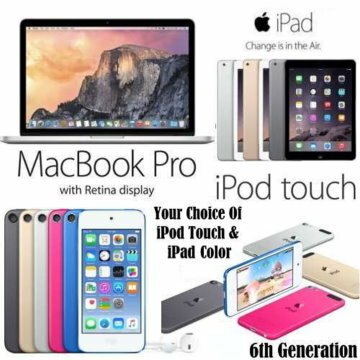 Terms and Conditions: Qualifying purchases must be made in Computer, Tablet, Cell Phone or Computer Accessory categories. 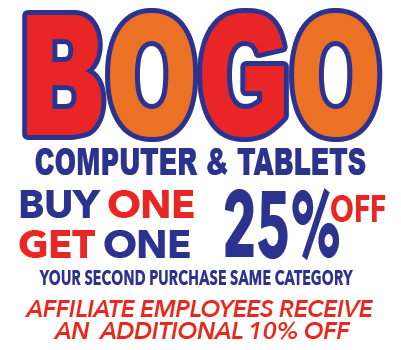 The BOGO Computer & Tablets offer does not require a minimum purchase. Customer will receive 25% off second item purchased from same category. 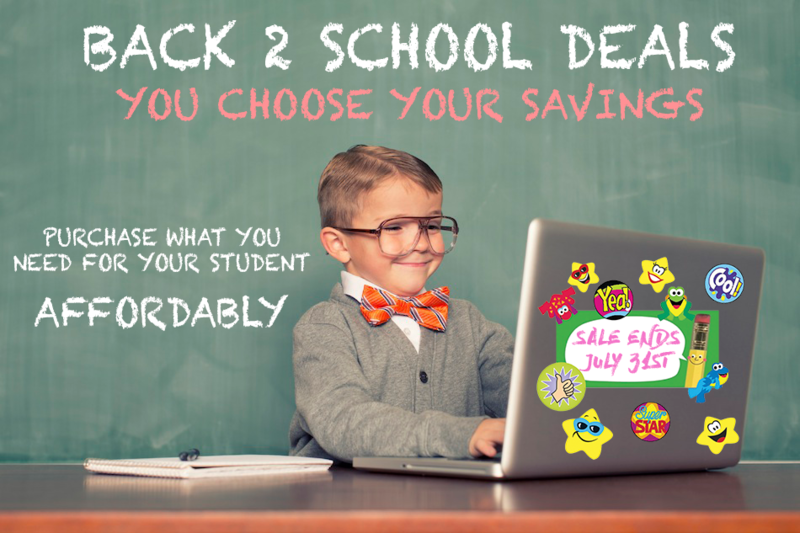 Discount will apply to the least expensive item purchased. If customer is an Affiliate Employee, they will receive an additional 10% off their purchase. 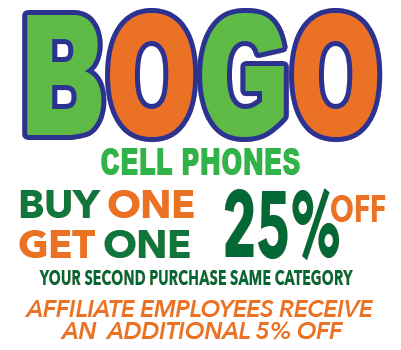 BOGO Cell Phone offer does not require a minimum purchase. Customer will receive 25% off second item purchased. If customer is an Affiliate Employee, they will receive an additional 5% off their purchase. 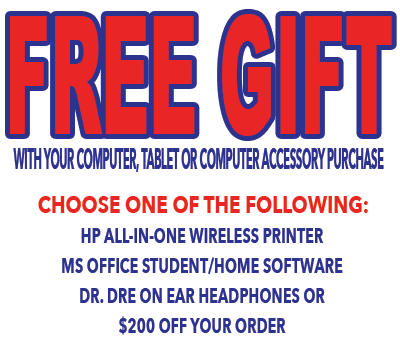 Free Gift offer requires a minimum purchase of $1000 in the qualifying product categories in order to receive your choice of one (1) free gift. All applicants may not qualify for the terms or pricing listed for this campaign. Although every precaution is taken, errors in pricing and/or specs may occur. 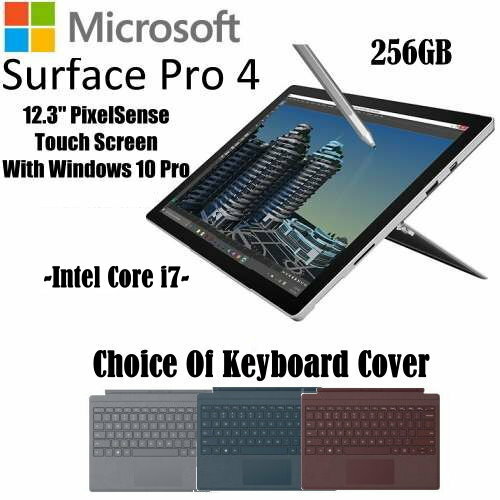 We reserve the right to correct any such errors at the time of purchase. These offers cannot be combined together or with any other offer. Items listed on the Garage Sales, Pre-Paid Purchases, Early Payment Incentives, “Hot Buys” and “Great Value” listed in the LutherSales Catalog are not part of this promotion. Qualifying amount applies to merchandise only, not the value of applicable taxes or fees. No adjustments to previous purchases. May not be redeemed for cash or cash equivalent. 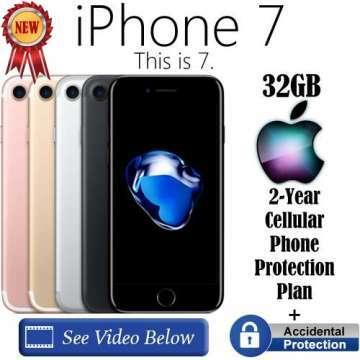 Contact your account representative for more information. Offer expires July 31st at midnight EST.